Preparing for Ramadan in advance is important so you can be as stress free as possible during the month. Read on for tips on how to meal plan, the importance of a balanced diet and how to eat healthy in Ramadan. Ramadan or Ramazan is the 9th month in the Islamic calendar. Everyday during this month, Muslims around the world spend the daylight hours in a complete fast by abstaining from food & drink from sunrise (suhoor/sehri) to sunset (iftar). Not only do Muslims fast, but they should also stay away from sinful behavior or speech and spend time in prayer. Unfortunately, we are so focused on cooking in this month and the preparation of lavish meals for Sehri / Suhoor and Iftar that we forget about the real objective of this month – pray, ask for forgiveness and trying to do good deeds. Ramadan teaches Muslims to practise self-discipline & develop empathy for those who are less unfortunate. I want to share some tips to make the most of this month – meal planning and organizing tips so you spend less time in the kitchen and healthy eating tips so you remain fresh. Don’t wait for the first roza to start your meal organisation. Prepare for Ramadan in advance so you are ready by the time the first roza starts. What dishes are you going to make and how are you going to prepare the food? Are you going to do everything yourself or get a maid / cook to help with prep work? Are you going to make everything at home or get some items from outside or a mix of both? The answer is going to differ based on where you live, how much help you have, your family structure and how big your family is. If you are living in Pakistan or in a majority Muslim country, there are going to be many options available, but if you are living abroad the roza is possibly going to be very long and there will be limited options for Ramadan centric food. If you work, have small children and don’t have help around, things are again going to be different. Focus on what you can manage considering the time and resources available to you. Start off with making a list of all the dishes that you want to make during Ramadan, dividing it into Sehri, Iftar and dinner options. 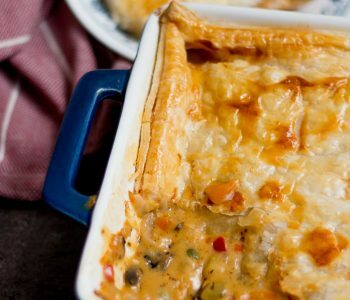 Include family favourites, along with any recipes you want to try. Organise the list into a weekly or fortnightly plan, noting down the meals that you plan to make daily. There will be unexpected surprises or changes in whatever plan you are making, but at least you are prepared. The third step is to make your grocery list and get the pantry staples in advance to avoid the crowd later on. If you are ordering food from outside (especially frozen items) make a note of the quantity required and place an order in advance. If you are looking for ideas on what to make, click HERE for my Ramadan meal planner with a sample menu guideline for sehri, iftar and dinner. 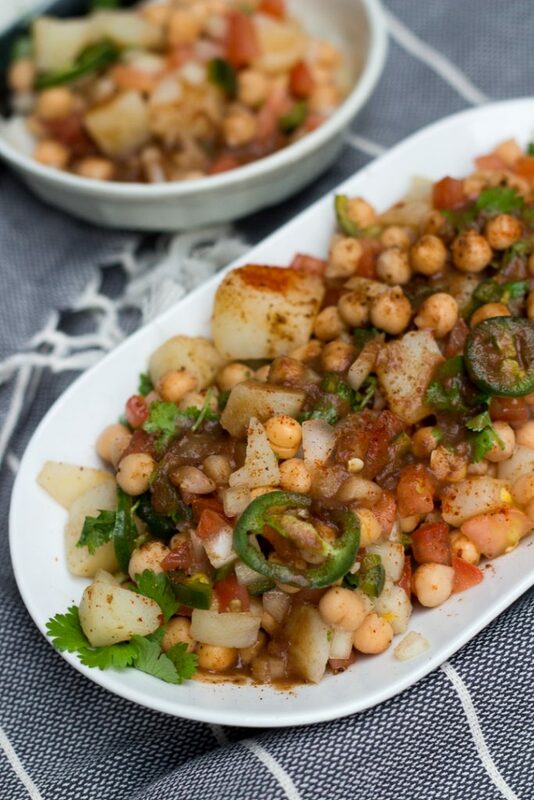 Boil chickpeas and keep them in the freezer to make a quick chaat in iftar. It’s healthy, filling and delicious. The freezer is your best friend in Ramadan! Prepare meals in advance not just for Iftar but also for Sehri and dinner. I always have shami kebab in my freezer and I fry up a big batch of mash ki daal kay dahi baray that I freeze for the whole month. 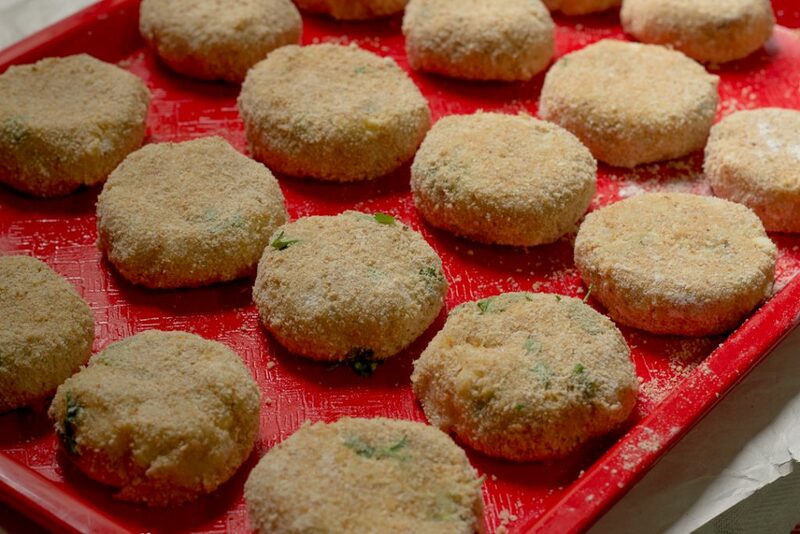 Boil chickpeas to use for chole ki chaat, and make a bulk batch of chicken patties that can be kept in the freezer. Not only can you ensure your family is eating healthy home-made food, but you will all also save time by cooking & storing in bulk.Get the family involved and make a assembly line of qeema samosa and spring rolls. Always keep some type of kebabs in the freezer! Eating a balanced diet is even more essential during Ramadan. We are fasting from sunrise to sunset, and it is necessary to eat food that will give us much needed nutrition. Feeling weak the next day after having a heavy iftar & skipping dinner is not because of the fact but because of not eating properly! Our diet should ideally include food from all major food groups – bread or cereals, milk & dairy products, meat, fish or other protein, fruits and vegetables and fat & sugars. It is okay to indulge once in a while but food with high sugar content or fatty food should be avoided as it digests slowly and makes one feel thirsty during the day. Eating fibre-rich food or complex carbohydrates is recommended especially during Sehri as they are digested slowly and provide much needed energy during the day. This includes food like oats, bread (wholewheat or bran/multi-grain preferred), beans (chickpeas, red beans/rajma, black eyed peas/lobia), and fruits and vegetables (especially green vegetables). As long as you are eating healthy, what you eat is upto you. For instance, I know people who will drink a smoothie for Sehri or eat bread with butter but I for one, need to have my roti else I don’t feel full. What I usually do is have whole-wheat roti with leftover salan, and a glass of milk. Almost all of us are guilty of gulping down 3-4 glasses of water, juices or carbonated drinks at Iftar and then instantly feeling bloated and too sick to have anything else! In actuality we should consume 8-10 glasses of liquid from iftar to sehri properly spaced out so our body is hydrated. The Rs. 5 off carbonated drink advertisements that are oh so tempting during Ramadan – ignore them! Carbonated drinks are high in sugar & caffeine content and will not provide the hydration our body requires. Instead make smoothies/milkshakes/lassis for Sehri & Iftar. Eat fresh fruit or vegetables with high water content like tomatoes, cucumbers, lettuce, watermelon, melons and oranges. If you are drinking juices or ‘Laal Sherbet’ (must in every household at Iftar time) try to avoid adding sugar, or drink with milk. 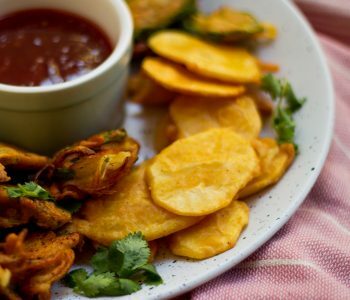 I will be the first to admit it here – while I might talk all about eating healthy, I love having fried items in Ramadan. I also know that for a lot of people (including me) that it isn’t considered a proper iftar if there are no pakora’s on the table! BUT there are ways to have the food you enjoy and still maintain a good diet (albeit slightly less nutritious). Use healthy cooking methods like shallow frying, grilling, baking and air-frying. 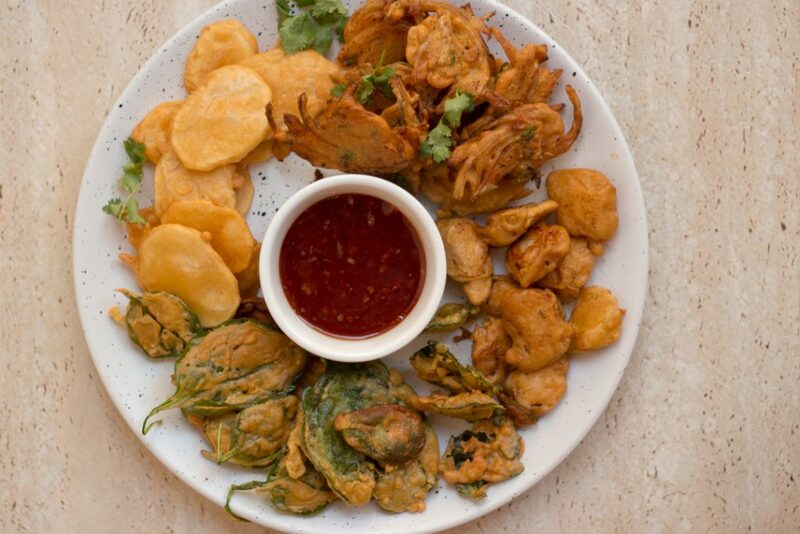 Shallow-fry pakora’s and bake/grill/airfry samosa’s & rolls. Organize the rest of the meal in reference to the items served at iftar. 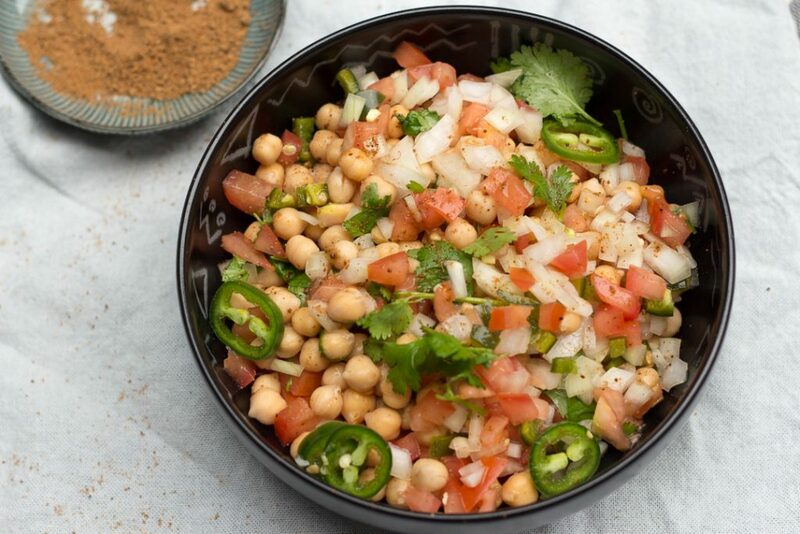 If serving a heavy iftar with fried items, make sure that the rest of the items are healthy like salads, fruit chaat, beans (cholay, lobia or rajmah), dahi baray etc. 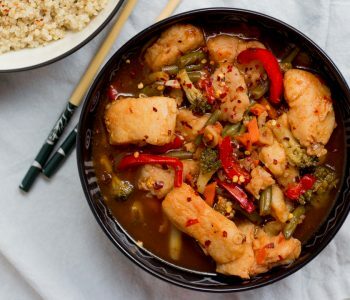 Alternatively, serve a light iftar with 2-3 basic items and then a family style dinner meal like chicken karahi or something special like biryani, singaporean rice, paneer reshmi handi or a one-pot/casserole style dish. A month before Ramadan starts and you will start getting flooded with Sehri & Iftar deals at all the major restaurants in town. I personally have a major grudge against the ‘all you can eat’ deals because there is SO much food wasted, and they all start these options during Ramadan when we should be most careful about food wastage. If getting food delivered at your home, order food a little earlier instead of exactly at Iftar time giving the delivery rider time to open his fast. If the rider has arrived just in time for the maghrib azaan, give him a drink of water, a few dates a snack so he can open his fast. Most importantly, don’t waste food! If you are going out for dinner, go for an ala carte option where you can get the leftovers packed. If you are going for a buffet, fill your plate a little at a time so the food isn’t wasted. That’s all from my end. Let me know in the comments below how do you start preparing for Ramadan? 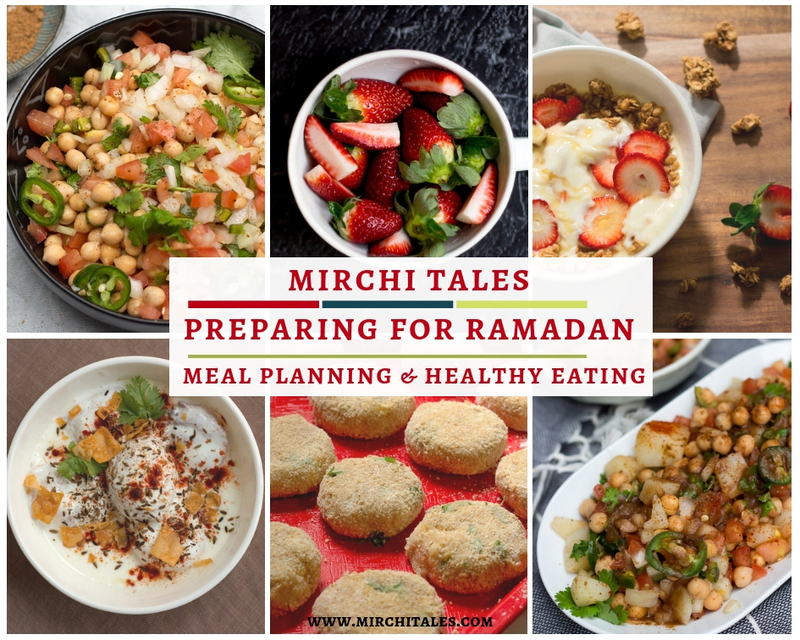 If you are looking for ideas on what to make in Ramadan, click HERE for my Ramadan meal planner with a sample menu guideline for sehri, iftar and dinner.